"...it seems to me that any memoirist must grow tired of reliving her life at some point" -Neylan McBaine* in the most recent Exponent-II magazine. Yes, I think that's me. I think I am tired of reliving my life. As I've run into blog readers and read emails this year as I've undertaken to write my Life Story there is a certain softness about the way I am approached--a I know you are hurting, because I read your blog sentiment. And this has often baffled me until my friend Ashley told me she had to remind herself numerous times that I am not in those places anymore. She said, "I had to keep telling myself, she's happily married with a household of children." Before that it just didn't occur to me the complexity of sharing the past on a medium that is meant for the present. I am as happy, angst-filled, silly and passionate as I have always been, but in writing my stories of my past there has been a feeling of sadness on my blog. I have felt that in my life too, but not to the overwhelming extent being portrayed. Even still, I have learned more about myself in the past year of writing than I have ever before. And yes, some of it was disappointing, and some of it, a lot of it, was liberating. This undertaking has ripped blinders straight from my eyes and in getting over the stinging sensation I have found incredible healing. I have thought a lot about Mary this year at the birth of Jesus, she "kept all these things and pondered them in her heart" and I wondered about what we keep and what we tell. I think my resolution is simple: if it's there, in my head, waiting for me when I wake up, I write. If it surfaces while I am picking up scattered toys in the Green Room, I write. If the stories wake me up in the middle of the night, I write. But the stories that stay surrounded in the safe confines of my heart, I do not write. And that's how I know. There have been times in writing my Life Story I have wondered if it was too much. Too hard to carry on. And in those times I have been sent signs, emails, words of encouragement to carry me through the doubt. One time this summer, when I was particularly self-doubting, my friend Amy Hackworth and I went to a symposium with the great Laurel Thatcher Ulrich who spoke exclusively on the lack of stories we have collected from Mormon women. She attributed a false sense of humility as one of the reasons. Perhaps we think writing our life stories is too self-seeking, bordering narcissistic. We fail to see how the hard work we perform in writing will have much bigger pay offs than almost anything we do as women. Mostly, because we heal generations in the process. And afterward, during the Q and A portion, a woman got up to ask a question like this, "I want to write my story but there have been some terrible experiences that would scare someone to read, should I still write it?" I thought about that question all summer long. Don't we all have those experiences? Terrible, scary experiences? Hurt, pain, anger? Threatening ex-husbands?! If we gloss over those parts how will our children navigate those experiences when they have them? Are the deep wounds as important to flesh out as the times of joy? I say yes. But cautiously, and only when those stories asked to be plucked. The thing about Mary I have decided is this: at some point, she did unlock her heart and tell her story otherwise how would we know the events--Gabriel, conception, angels, mangers, birth? How would we know she kept these things in her heart? And I wonder, when did she decide tell her story? Was it on the dusty roads of discipleship? In attempt to testify for her son's survival? After the wicked death and glorious resurrection? 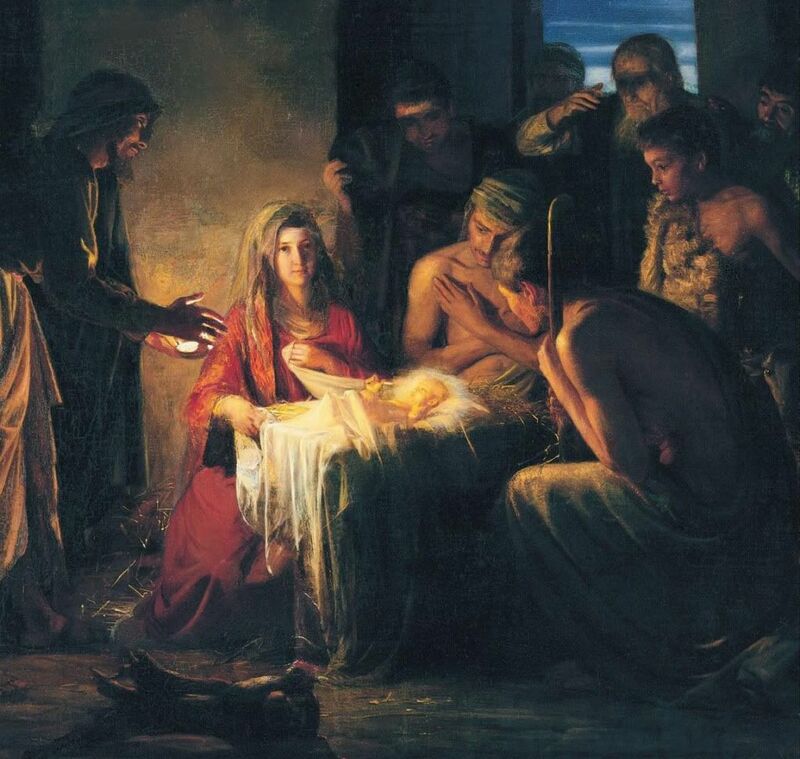 When did those stories tell Mary they were ready for the world? And in another light, if we are Christ's people, then our lives belong to Him. Our stories belong to Him. And He has every right to tell us when to open our mouths, and when to keep our testimonies in the corners of our hearts. I started my Life Story in January. My intention was to write up until I started this blog. I intend to finish it by the end of the year. I only have a few more posts left. And even though I am tired of writing, I wonder how it will feel when I write that last line on the last post. I think it might feel pretty good. So, I am proposing to myself a marathon Life Story--to the finish--starting the day after Christmas and ending on New Years Eve. If you have a spare second in your prayers will you add me in there? I could use all the encouragement I can get. As some of you might know, goal keeping is a gigantic weak spot of mine. But I need to write about dating Chup (OH MAN), elopement, marriage, infertility, creeping body images issues. Big stuff, I wouldn't want to miss it no matter how tired I am. It's been my secret hope for awhile that I can use my experiences this year to support other women in writing their own Life Story--and encouraging them to keep writing until the end. I think that might be my calling. Wouldn't it be fantastic if the world was filled with stories of women? Never before have we seen this happen, in all the history of the world. *Neylan, a friend and fellow writer, curates the Mormon Women Project. This summer she authored one of the most buzzed about articles in Mormon circles this year, To Do the Business of the Church: A Cooperative Paradigm for Examining Gendered Participation Within Church Organizational Structure very much worth a read! 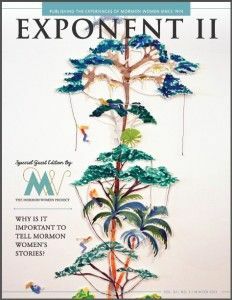 The Exponent-II (as quoted above, edited by Neylan and the MWP). It's full of narratives and artwork about women's stories well-worth your Christmas vacation time. You can read the entire issue online for free (or order a copy, suggested) here. If you like to be profoundly inspired by skilled writing and encouraged to write your own narrative, I highly recommend Brittney Carman's, Sometimes the Heart. Inspiring.